How many shoe brands have you known to put out the top quality shoes since before your grandparents were born? Not very many. Sure we have Converse, Nike, Jack Purcell…. 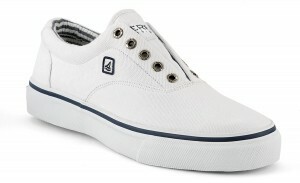 etc., but it seems like each year that these brands come out with new trends and hot new items, my feet once again have to bear the pain for the first two times of “breaking in” these brands new shoes. 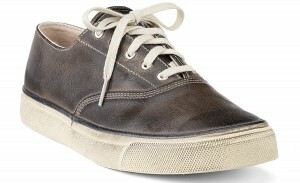 However, with Sperry’s, there is no such thing as “breaking in” a shoe. They feel just as comfortable the first time you wear them as the last. Definitely the main reason I always say goodbye to my collection of Sperry’s in the morning on my way to work, wishing I were wearing my boat shoes instead of my god-awful heels. 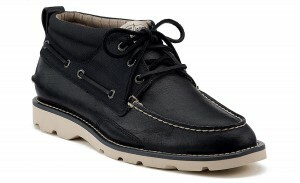 As I have written about Sperry’s in some of my previous posts, there isn’t anywhere you CAN’T wear them. They are non-slip (be the most stylish waiter), they are meant to be worn without socks, you can get them wet, and you can wear a single pair for 6 years and not even be able to tell. What else? I could go on forever. So without boring you too much with my obsession, I’ve gotten pretty excited the past few months seeing how far Sperry’s has stepped beyond just their original “boating shoe”. They have totally mixed it up. They started last season with a ton of new colors, fabrics (sequins and patent leather) and styles. 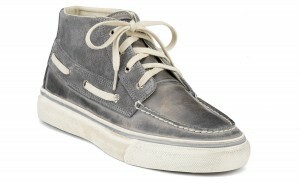 Now this Fall, we step into Sperry’s wedges, high-tops, slip-ons, flats, lace-less sneakers and boots. It also seems like they have new items hitting their site every month. I’m definitely convinced they have officially beaten out UGG with their variety and catchy clean trends. 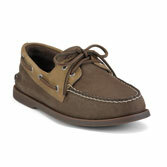 Below are my favorite new items by Sperry for men and women.